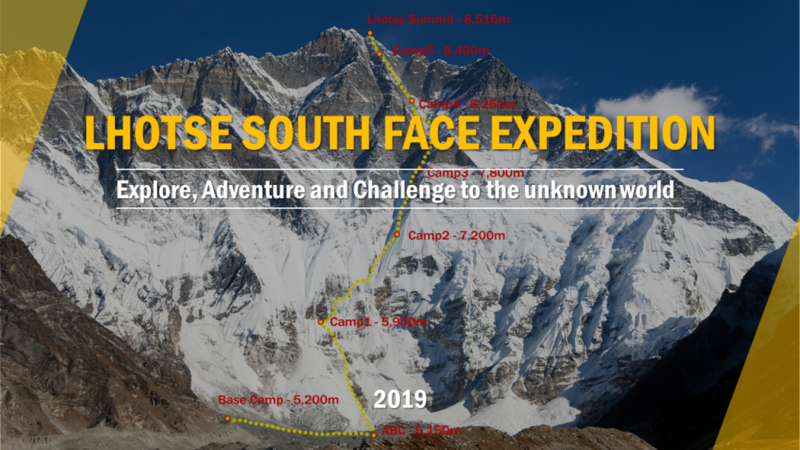 I’m happy and excited to announce Hong’s next expedition : Re-challenge to the Lhotse South Face. For over few years, Hong has been challenge to the Lhotse South Face, but unfortunately he couldn’t reach the summit leaving just few hundreds meters to the top. With more preparations, training and also with great members, he announced that he is finally ready to his re-challenge to the south face on the 2019 spring season. If you are interested in our expedition, please sign up to our mailing list, in order to receive news and exclusive updates before, during and after the expedition.